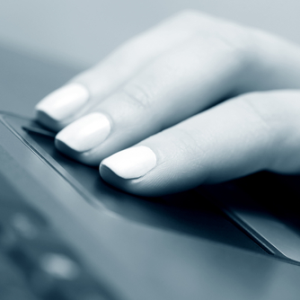 With the rise of laptops and netbooks, the touchpad has become a key input device. Yet, in the Windows environment, working with the touchpad has been a drag more than a delight. 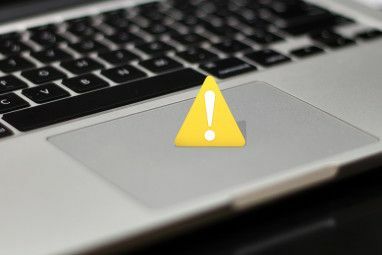 While the hardware often is able to perform the same tricks as Apple’s touchpads, sometimes drivers don’t support its full capabilities or users are simply not aware of the available features. This article shows you how you can discover the true skills of your touchpad. Disclaimer: I wrote this article on a Sony Vaio laptop running Windows 7 Professional 64-bit. This laptop comes with a Synaptics TouchPad. The features you have access to depend on the computer or operating system you are using. The intention of this article is to help you discover what your hardware is capable of doing, which may well be different from what I am demonstrating. Be sure that you are using the latest touchpad driver. Go to the homepage of your laptop manufacturer, under Support and/or Software, locate your laptop model and operating system, then download and install the most recent touchpad driver. This will ensure that you have access to all the latest features. Unfortunately, Windows often isn’t very intuitive. To access the touchpad settings for example, you actually need to open mouse properties. Go to Start, type mouse settings in the search bar, and select Change mouse settings. A window called Mouse Properties will open. Below is a screenshot of what the generic Device Settings tab looks like for Synaptics touchpads. Before we dive deeper into the capabilities of your touchpad, let me briefly explain how you can turn it off. Again, Windows doesn’t make this very intuitive or comfortable. The easiest way to do it without installing third party software, is to go to Device Settings (see screenshot about) and click the Disable button. This procedure was also described in the article How To Disable The Touchpad While You Are Typing How To Disable The Touchpad While You Are Typing How To Disable The Touchpad While You Are Typing Read More . Many manufacturers provide shortcuts to do this, such as a a separate key above the touchpad (HP), a sensitive area you double-click on the touchpad itself (HP) or an on/off function key (Fn+F1 for Sony). If your laptop has none of these features, you can try TouchFreeze, an app that will turn off the touchpad while you are using the keyboard. I also introduced this tool as one of 6 Must Have Programs For Your Laptop Or Netbook 6 Must Have Programs for Your Laptop or Netbook 6 Must Have Programs for Your Laptop or Netbook Laptops offer many advantages compared to desktop computers. Most importantly they are small and portable. The convenient hardware features of laptops, however, also imply a lot of limitations. In this article I will introduce you... Read More . If your laptop came with a Synaptics TouchPad, you will see something like this when opening the touchpad settings. The Synaptics TouchPad comes with a host of features and options, that many users are completely unaware of. For example you can enable vertical and horizontal scrolling by setting sensitive areas on the right-hand side and bottom of your touchpad. Or you can apply ChiralMotion scrolling, i.e. endless scrolling. Synaptics TouchPad also supports Pinch Zoom, meaning you use two fingers to zoom in and out of a webpage or document or picture. All features are thoroughly explained and many come with seamless demonstration videos. You can find more information about the Synaptics Gesture Suite for TouchPads here. In addition to TouchFreeze mentioned above, there are two more apps I would like to recommend: Two-Finger-Scroll and Scrybe. The former does what it says, while the latter offers a whole selection of features, including two finger scrolling, three-finger tap, and touchpad gestures. Finally, if you are just about to buy a new laptop, maybe now is the time to pay attention to the kind of touchpad you will be getting with it. This technology explained article will be helpful: What You Need To Know About Touchpads Before Buying Your Next Laptop What You Need To Know About Touchpads Before Buying Your Next Laptop [Technology Explained] What You Need To Know About Touchpads Before Buying Your Next Laptop [Technology Explained] If you walk into a retail store and ask a sales rep to explain a laptop to you, chances are you’ll receive a long list of hardware information focusing on what’s inside. This is information... Read More . So what did you discover about your touchpad today? Did you learn some new tricks or is all of this old news to you? How to Use Snapseed: 10 Tips for Better Snapseed Photo EditingAkelPad vs Notepad Plus – Can It Even Compete As A Notepad Alternative? I have Dell laptop 14" inspiron 3458 , its come with ubuntu but i got a windows 8.1 copy and just crack it , after a few days i notice somethings missing ! its the toucpad i cant dissable it or even see the sypnaptics setting just like yours (Dell driver is actualy use sypnaptics) , i try update to the lsatest driver but doesnt help anythings , also i try instal the sypnaptics from the sypnaptics website but fail to instal . this problem still cant fix till now (its been 2 month since i got this laptop) this make me wont to buy dell laptops again , id better buy an asus latter. The other software mentioned here has a typo in its name. It's not Scrype but Scrybe instead. Fix this as I kept searching for the wrong name with no avail. Thanks Ahmed. You were the first in three years to notice (or comment). :) Fixed! I have an injury to my hand which doesn't allow me to use a mouse. However, I can use a touchpad. I've been shopping for a new computer and I'm finding that the touchpad buttons are difficult (or stiff) to use. I purchased my current Dell computer because of the ease of the touchpad, but after 18 months it is not working well. I use Adobe Photoshop all the time and the stiffness of the touchpad button makes my injury worse. I'm not sure what to do. Any mouse is painful, but how do I find out how stiff the touchpads are without trying out every computer? Did you look into external touchpads? Maybe there is something there that will work for you. Also, there are alternative mice. 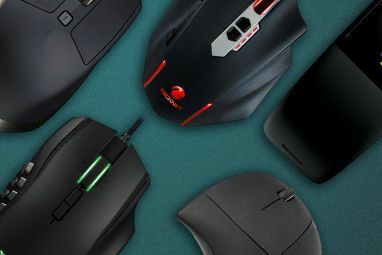 I'm not too versed about the types of products out there, but I know there are a lot of alternatives to regular mice. In any case, this would be a great question for MakeUseOf Answers! I want to add a topic on Hardwarezone about modded HP Synaptics driver which enable multi-touch (or at least two-finger-touch) on various older laptops. * It doesn't have to be an HP notebook ~ for me it worked on an old Lenovo too. Thanks for the suggestion, Mike. That's a good one! I actually have two-finger-scrolling on both my HP laptops and I never installed a special driver or software.